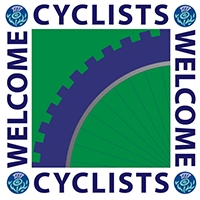 Malcolm and Wendy McVittie welcome you to their home in Lauder. It is deceptively narrow from the outside but is warm and cosy on the inside. 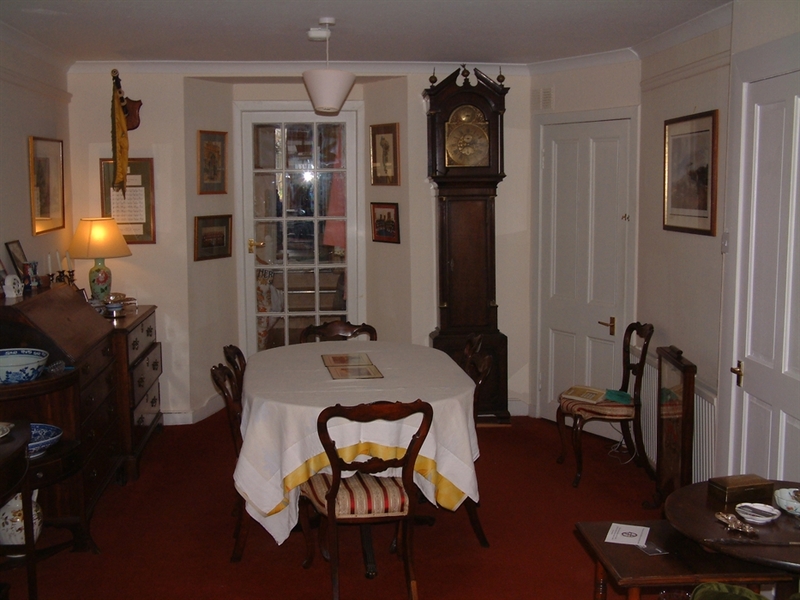 The house dates back to the early 18th Century and stands on a mediaeval site in the very centre of the Ancient burgh of Lauder. We are very close to the Southern Upland Way providing plenty of scope for walking. The Black Bull Inn opposite is one of the finest in Scotland and there are two other restaurants nearby to suit all tastes. Dogs are welcome but please advise beforehand. There is parking nearby or in a lockable garage at the rear of the house. There is a bus service once an hour from outside the front door into Edinburgh. 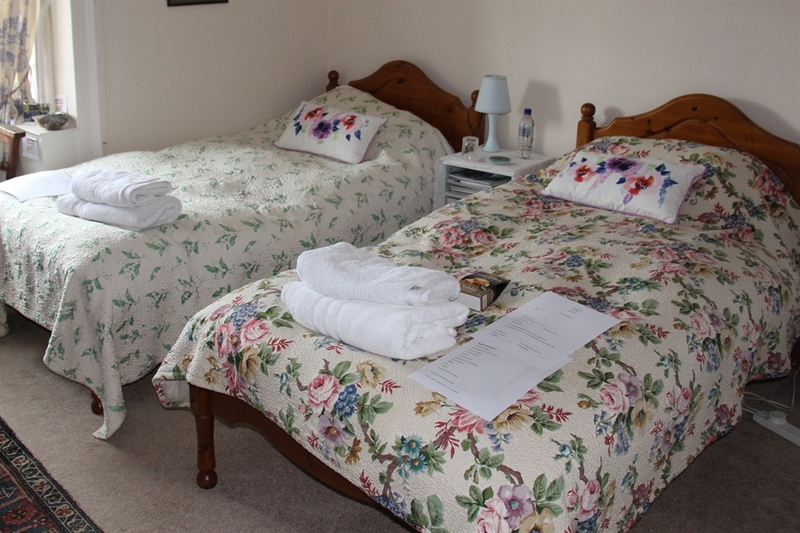 Prices £35 - £40 per person per night bed & breakfast. 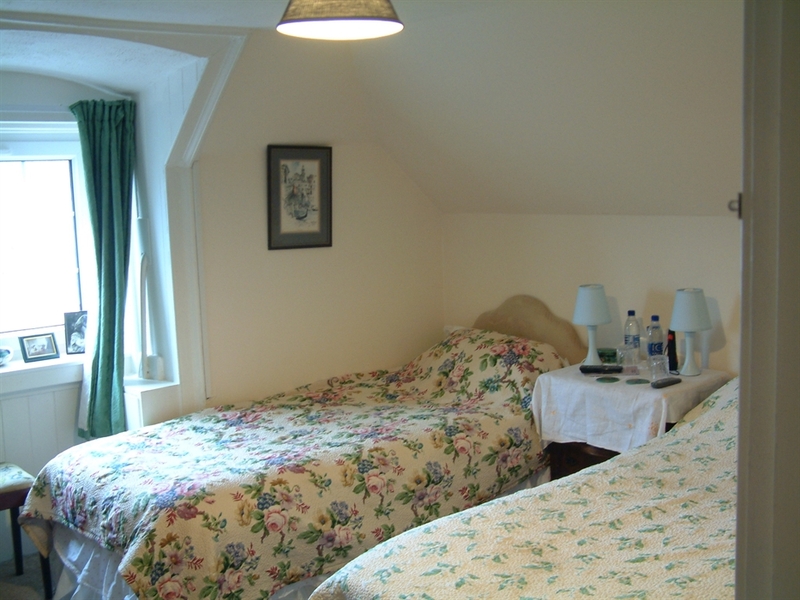 There is one twin room with en-suite facilities and a further adjoining single room available to the same party as the twin room. Supper available by prior arrangement. 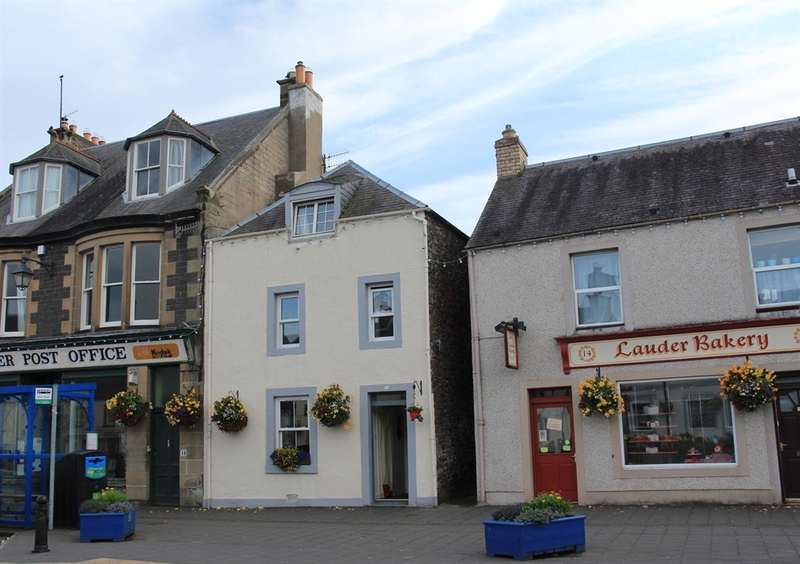 Lauder is a gem of a town tucked away in the heart of the Scottish Borders. Located just 27 miles from Edinburgh, an abundance of rolling hills and ever-changing scenery makes Lauder one of the most beautiful Border towns, and an ideal destination for a weekend break or holiday. Close by is Thirlestane Castle built in 1590 set amid magnificent grounds, little ones will love the space to run around before taking advantage of the picnic tables. If the weather doesn’t lend itself to al fresco dining you’ll find a warm welcome in the tea room. The home of Sir Walter Scott is also a short drive away on the banks of the River Tweed. 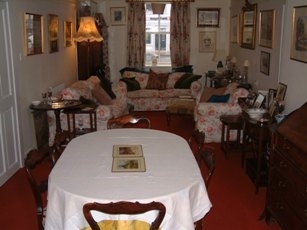 This historic house is not to be missed together with restaurant, gift shop and stunning gardens and woodland.